See all the highlights as the Pros pump, oil and hit poses for our pump room camera. 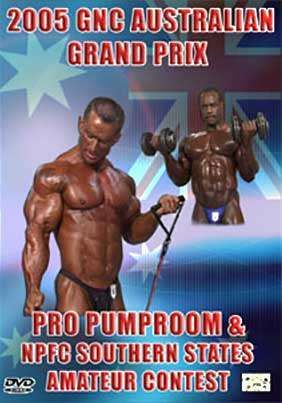 Includes a considerable amount of pumping and posing by Australia’s own LEE PRIEST. Also great footage of CHRIS CORMIER and RONNY ROCKEL. The second part of the DVD is the NPFC Amateur Contest from prejudging to final awards. The posing routine of every bodybuilder is included. In our opinion the three bodybuilders from the Over 90KG division are professionals in waiting! Click here to read a great review of the Pro Show DVD. To see some outdoor photos of the massive Thomas Stellander one day after this event, click here.